Weather Feel is a breath of fresh air in the realm of weather apps. It is clean, elegant and works smoothly on any given point of time. 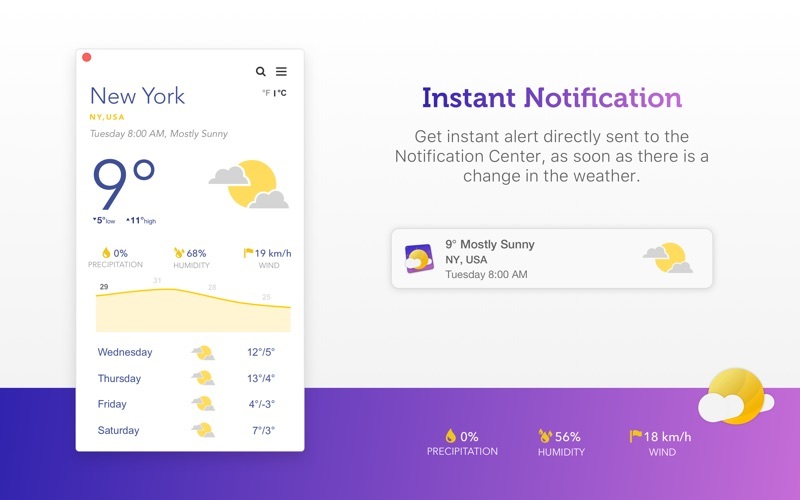 It loads basic weather statistics on a small yet compact app layout and sends you weather alerts as soon as there are any changes in your weather. 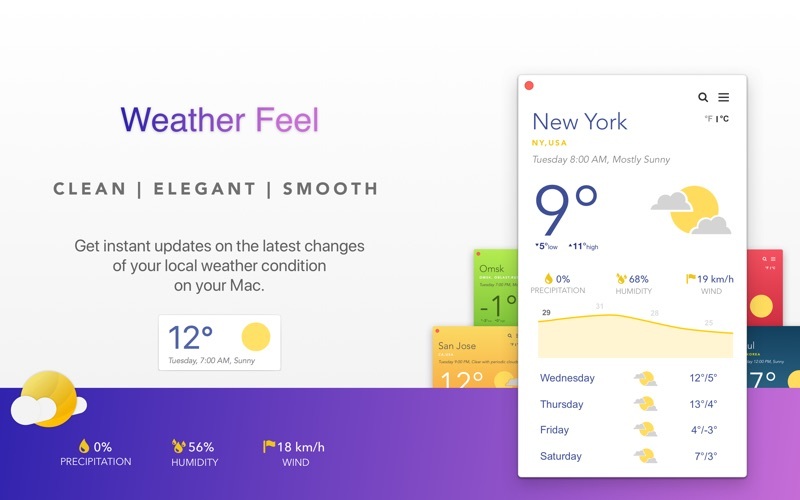 Setting up Weather Feel is as easy as opening the app itself. It automatically searches and adds your current location (Of course if you allow it to) after you fire up the app for the first time. You can also search for other locations by using the search bar at the top that appears when you click the Search Location Button. 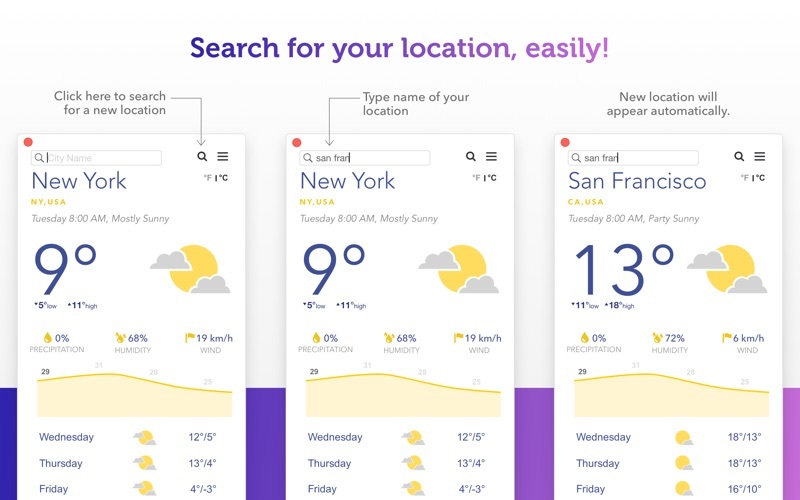 Just type in the name of a location and see how the Weather Feel instantly loads up weather stats of locations that closely match the search term. 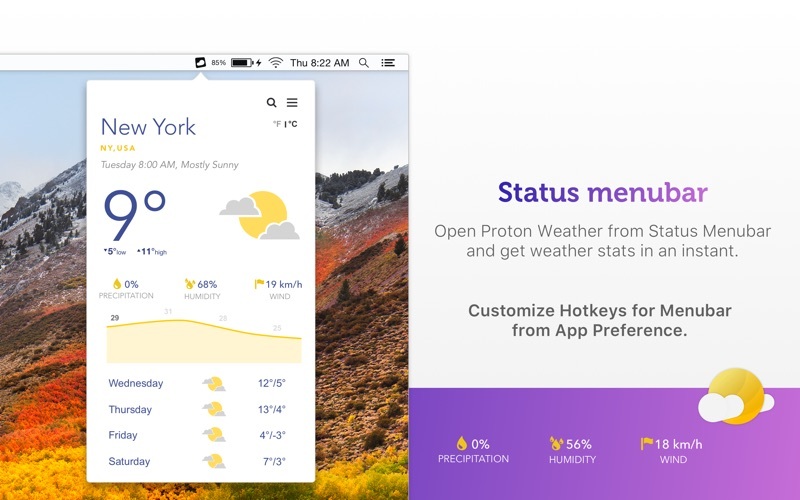 - Quick launch for Status Menubar with hotkey. - Weather forecast for upcoming four days. - Important weather stats along with Precipitation, Humidity and Wind speed. - Current temperature with weather icon. - Notification shows any changes to the current weather. - See local temperature in both Celsius and Fahrenheit. - Easy to search location and load up weather info. - Open main weather window with keyboard hotkey. - Open WeatherUpdate automatically at log in. - Keep current weather icon on Dock instead of App icon or hide both. 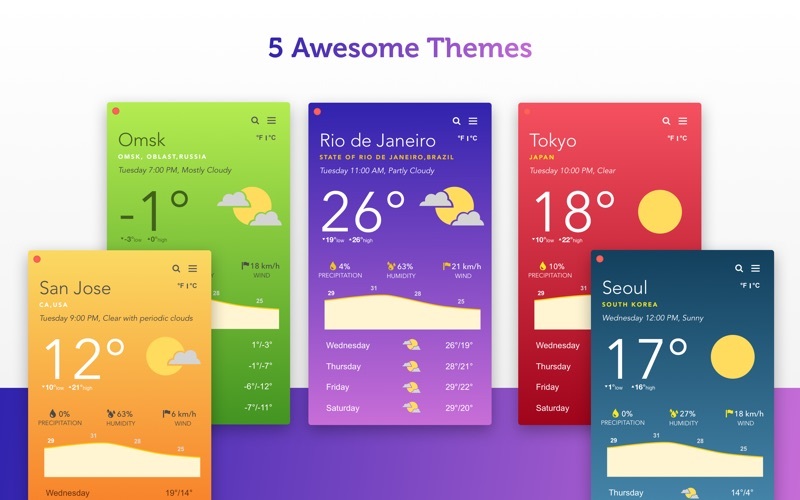 - Choose from 5 additional themes. There is no overabundance of features and weather statistic figures in Weather Feel that people rarely use or need. It comes packed with only the ones that we need every day. It will be a nice little addition to the list of your daily used apps. It will consume very less of your system resources and keep you updated with the latest trends of weather condition. 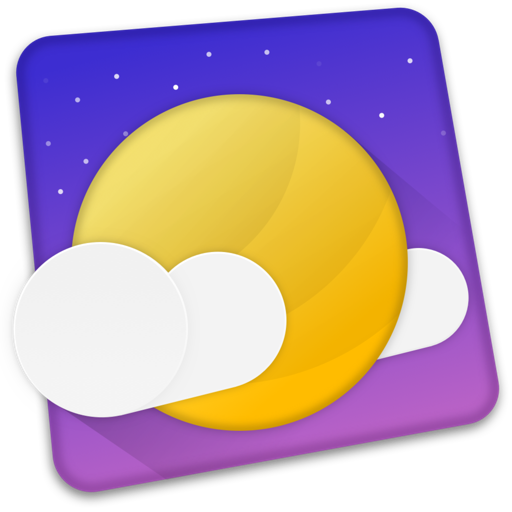 So, download Weather Feel today and get weather updates instantly, always. - Desktop Widget added now. - Scrollable forecast graph is now available.